Following 2014’s spectacular, sell out Ruby Anniversary Tour and accompanying celebratory box set album release, Giants & Gems, The Stranglers march ever onward with their 2015 UK tour. As 2014 draws to a close, punk-era iconoclasts, The Stranglers can look back at what must be one of their most successful years ever. Earlier this year the band celebrated their 40th anniversary with the spectacular Ruby Tour. Fans old and new flocked to venues throughout the land to hear a thrilling programme of music, spanning five decades, performed by one of the finest live groups in the country. For The Stranglers it was a record-breaking UK tour with sell-out shows at venue after venue as music fans voted with their feet. The press accolades came flooding in too, the groups’ considerable contribution and importance to the British music scene receiving well-deserved recognition in the specialist music magazines and national newspapers alike. As the long hot summer followed, the group found themselves gracing the main stages at many of the UK and Europe’s premier festivals, including V Festival, T-in-the-Park and and Electric Picnic. One of the punk era’s most eclectic bands, The Stranglers have always drawn upon a wide range of musical genres; from pop to prog, metal to jazz, creating their own distinctive style. Each band member’s considerable, often downright virtuosic, musical talent has allowed them to explore and expand their sonic palette, leading to some of the most memorable pop and rock tunes of the last five decades; from the strident opening bass solo of No More Heroes to the lilting harpsichord strains of Golden Brown. It is little wonder then that the band were invited to perform with the London Sinfonietta at the 2013 BBC Proms at London’s Royal Albert Hall. 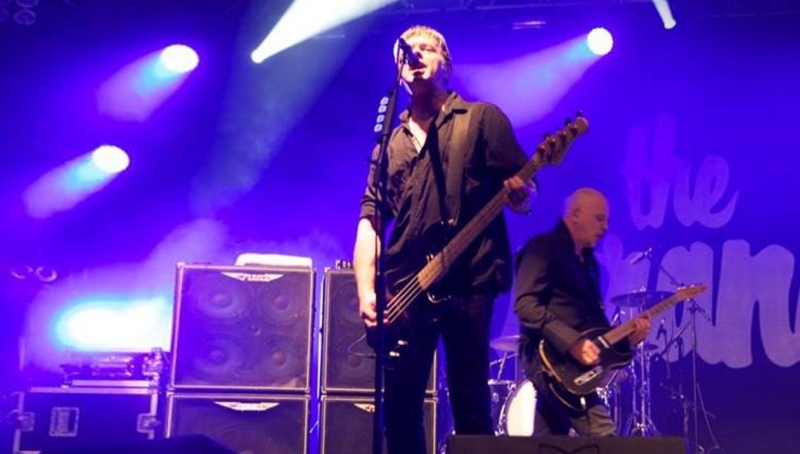 Without doubt one of the most exciting, credible and influential British bands today, The Stranglers will be one of the highlights on the 2015 live circuit – an essential show not to be missed as they perform songs from their much-loved repertoire at venues throughout the country next March.